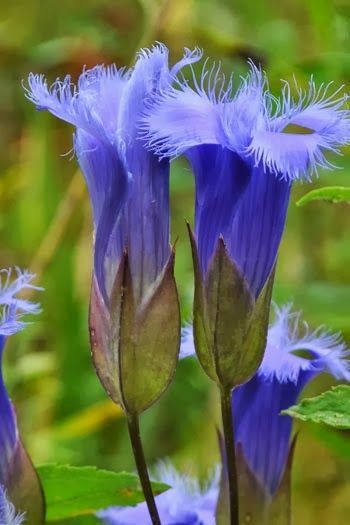 Share the post "Fringed Gentian – Rare Flower With An Unearthly Beauty"
Gentianopsis crinita or Greater Fringed Gentian or Blue Gentian is one of the most beautiful of the gentians, with its delicately fringed petals and striking blue color, it is becoming rare and must not be picked. It is a biennial, and along with the other gentians, is among the last wildflowers to bloom in the late summer and fall. Fringed Gentian is about 1-3′ tall, native to eastern USA and eastern Canada. It ranges from the southern Appalachian Mountains north into New England and west to Manitoba and Iowa, though it can grow as far south as the mountains of Georgia. It is uncommon in much of its range. It is very rare in the Southeast. Fringed gentian flowers open on sunny days, but generally remain closed on cloudy days and during the night. So it is best spotted on bright sunny days during the peak of flowering. There is no noticeable floral scent. Individual plants live for only one or two years. They flower only in their second season. This wildflower reproduces by reseeding itself. The stems are light green, yellowish green, or reddish green; they are terete and glabrous. Pairs of opposite leaves occur along these stems. The leaves have prominent central veins and a slightly succulent texture. Fringed gentian is found in shallow, near-neutral soils, in damp, sunny meadows associated with magnesium rich rock (amphibolite, serpentine). 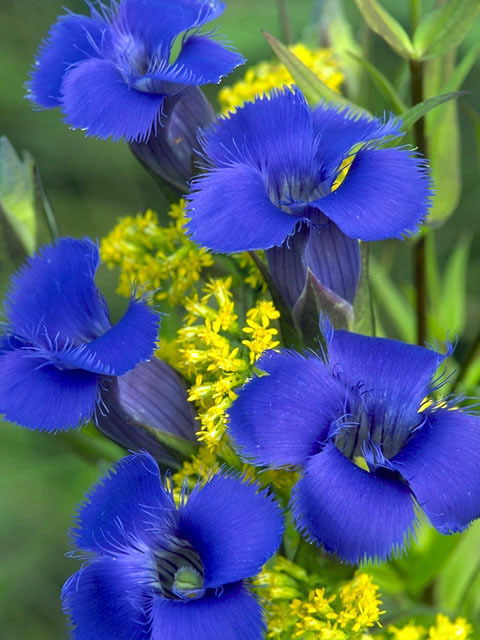 The Fringed Gentian’s fleeting, exquisite beauty has had the attention of artists and poets for hundreds of years. It has inspired well known 19th century writers such as William Cullen Bryant, Emily Dickinson, and Henry David Thoreau. 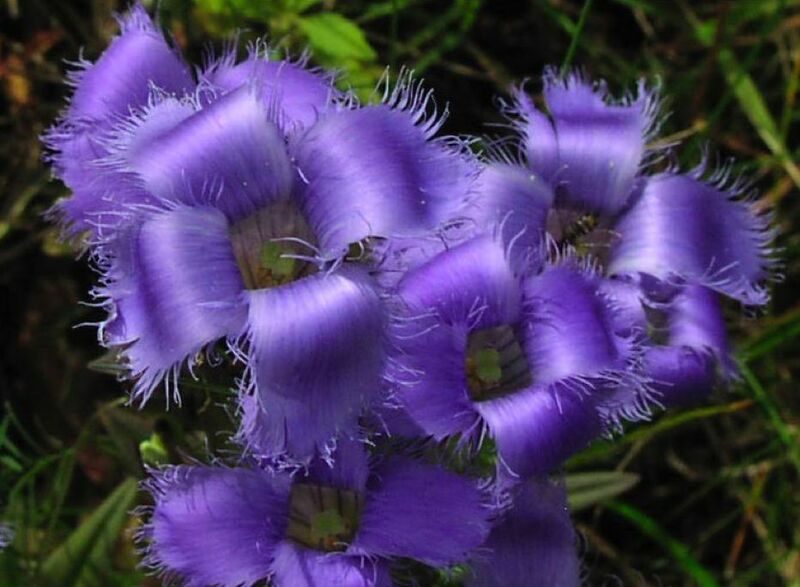 Fringed Gentian is in the Gentian Family (Gentianaceae), which is known for its medicinal value. Both the common and generic names of this group come from that of King Gentius of Illyria, who, according to the Ancient Roman naturalist Pliny, discovered the medicinal qualities of the roots for use as an emetic, cathartic, and tonic. Do you grow Gentianopsis crinita (Greater Fringed Gentian) in your garden? What is your experience with this plant? Please share in the comments below! Do you sell Gentianopsis crinita (Greater Fringed Gentian) seeds or have plants for sale? You can place your advertisement here. Contact us now!